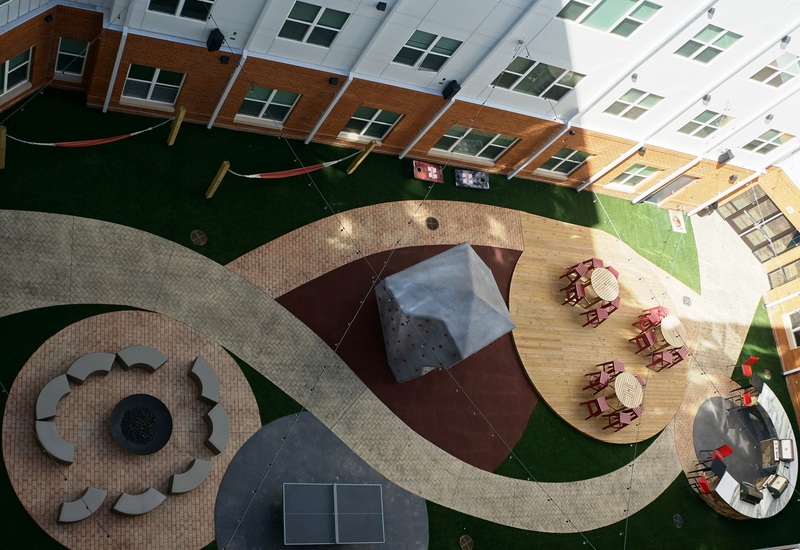 8N Lofts, is a service-driven student living community located near the city’s Historic Haymarket District on 8th and N Streets. 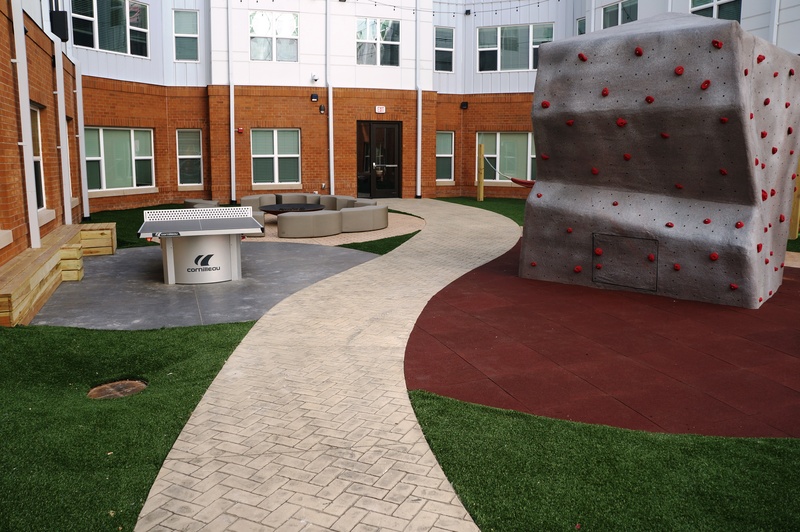 The lofts include a sky deck with a jumbo LED TV, fitness facility, outdoor climbing wall with firepit and seating areas, private courtyards and grilling stations to name a few amenities all along with a 4,200 square foot all-inclusive clubhouse. 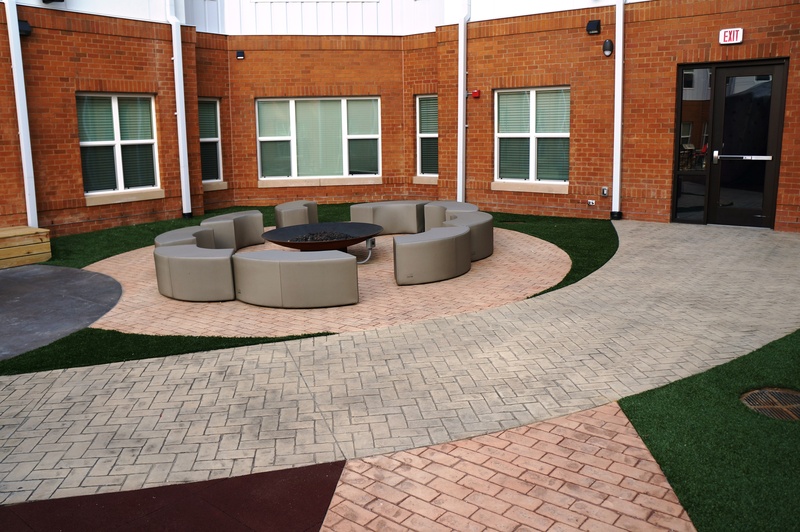 Bomanite Licensee, Stephens and Smith Worked with CSO Architects and Hausmann Construction, on creating an outdoor entertaining space that was a perfect fit for the defined areas for using Bomanite decorative concrete for the defined areas. 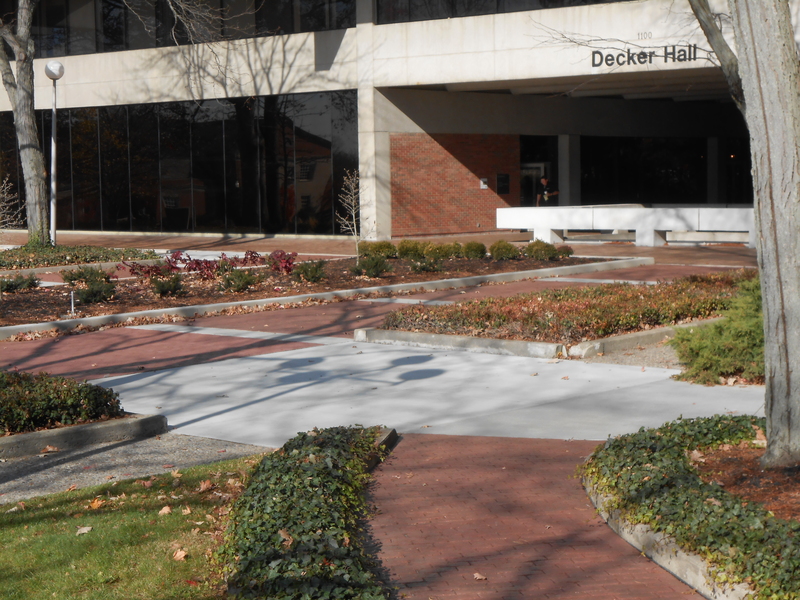 Two separate courtyards were created with fields of different colors and textures. 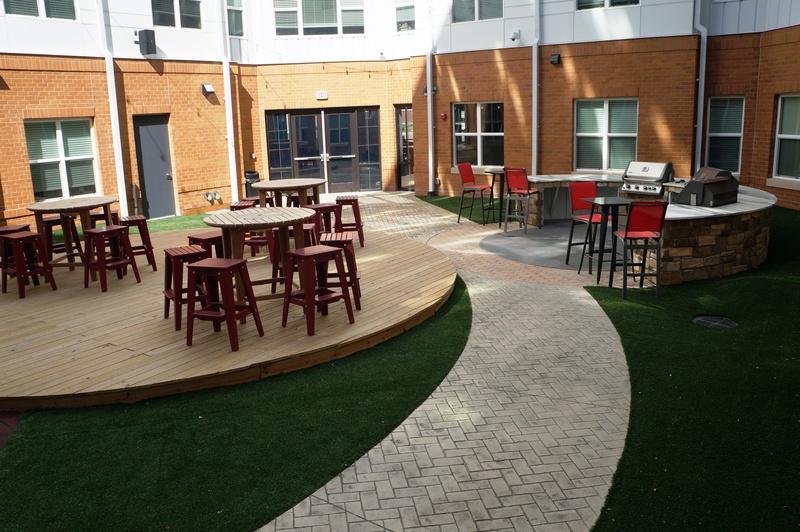 The courtyards serve as bike storage with a pergola and have multiple areas like sitting area around the fire pit, ping pong table, rock climbing, outdoor kitchen and a wood deck to enjoy the fresh air. The Bomacron Herringbone Used Brick and Bomacron Running Bond Used Brick patterns were used with a circular design in the shape of the number eight. Bomanite Color Hardeners in Coquina and Natural Gray with Bomanite Release Agents in Mexican Tile and French Gray complement the building colors and outside décor. 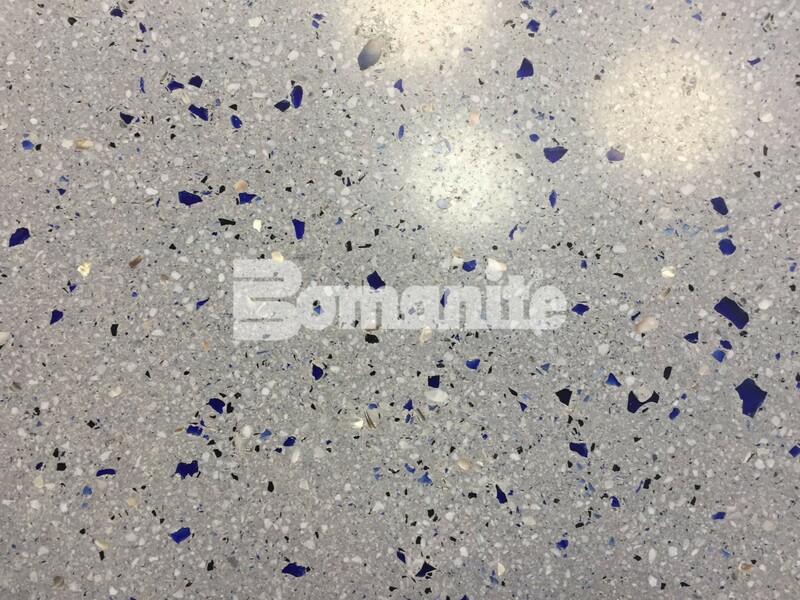 Bomanite Color Hardener provides increased durability, wear resistance and fade resistance, just what is needed for an outdoor entertainment space, student living complex. 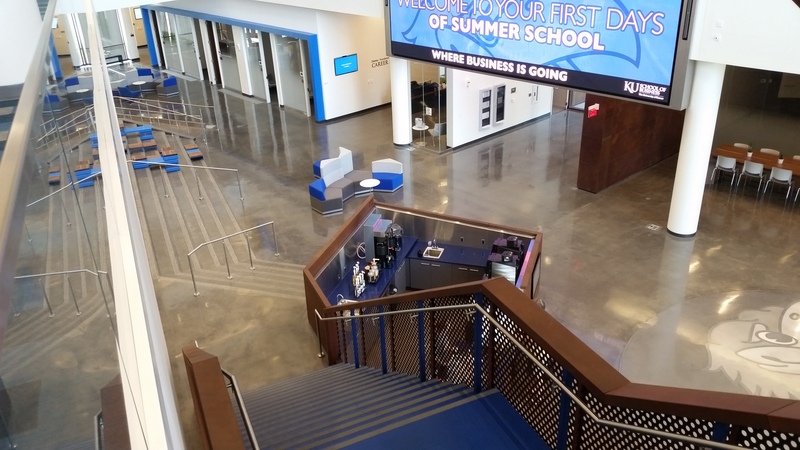 The KU School of Business Capitol Federal Hall serves as a destination point for students who are determined to move business forward. From state-of-the-art technology to research labs, this will be a hub for collaboration and innovation. Bomanite Licensee, Musselman and Hall Contractors worked closely with the local architecture firm, Gastinger Walker, during the design development phase of the project allowing the project specifications and samples to be fine-tuned, making sure this 166,500 square foot four story facility was at the top of its class. 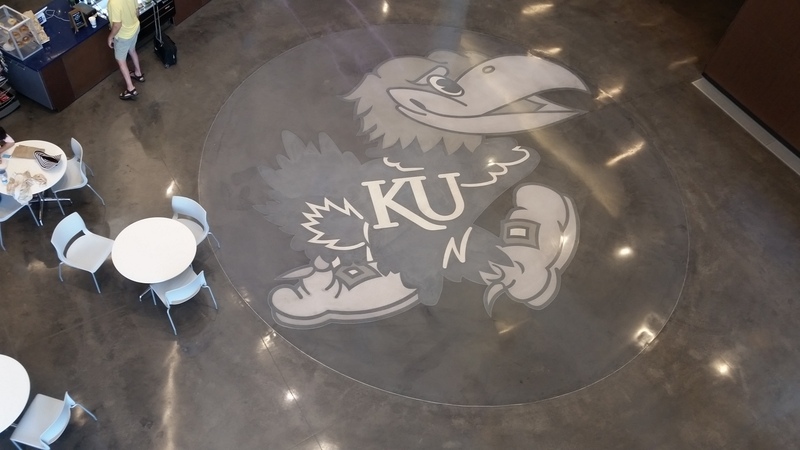 The Kansas University School of Business Capitol Federal Hall has 20 classrooms, a 350 set auditorium and nearly two dozen collaborative spaces. 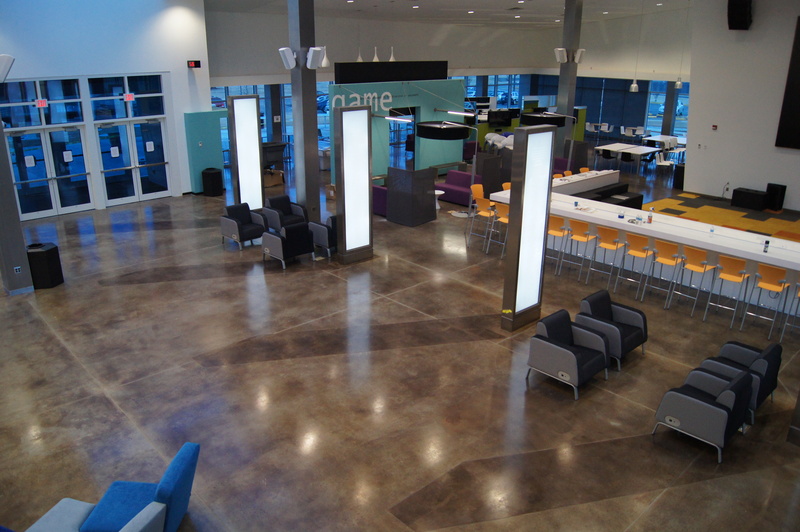 The atrium lobby, common area, and gathering space was completed with the Bomanite Custom Polishing Renaissance system. 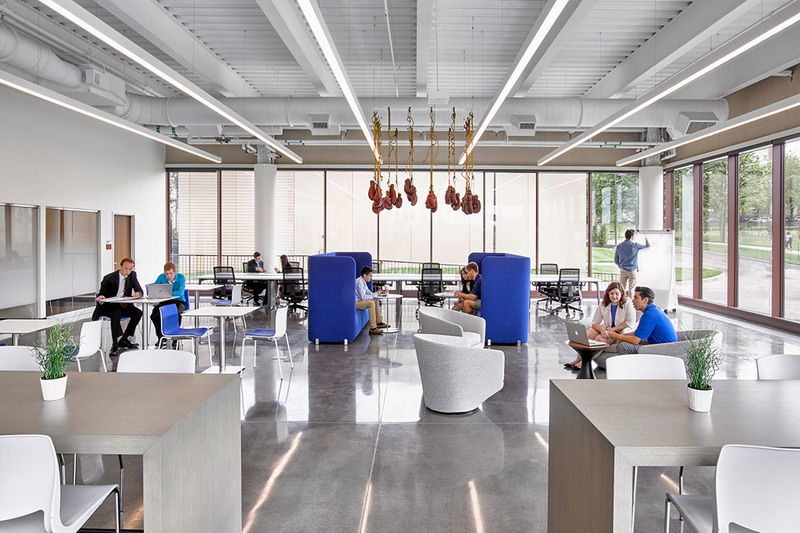 The large common area in the atrium lobby was designed to be a living room-like “entrepreneurship incubator” with 15,800 square feet of 4” thick integrally colored topping slab. The slab was integrally colored with Bomanite’s Coal Gray. 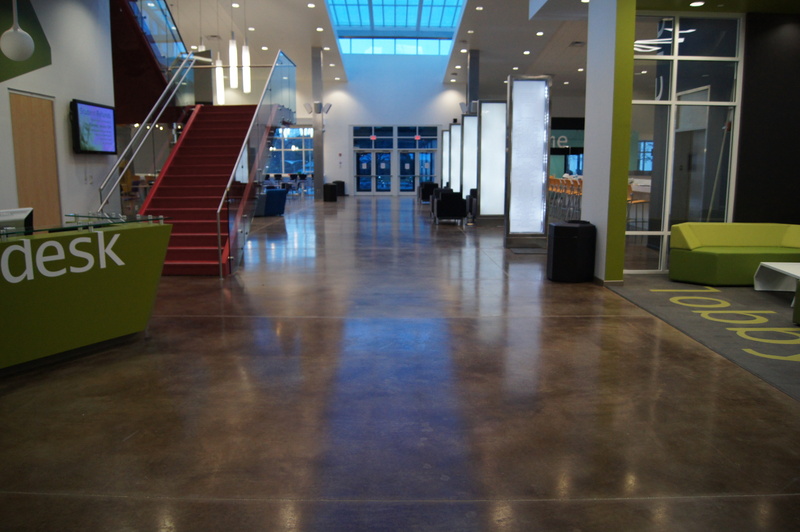 The slab was ground to a “salt & pepper” aggregate exposure and polished to a semi-gloss finish. 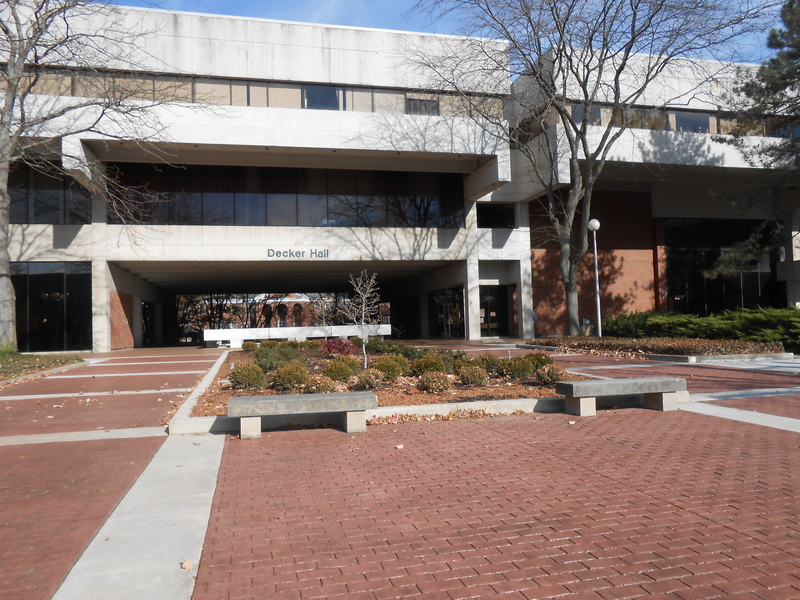 The placement of the topping slab included multiple sets of cast-in-place steps as well as an ADA accessible ramp. 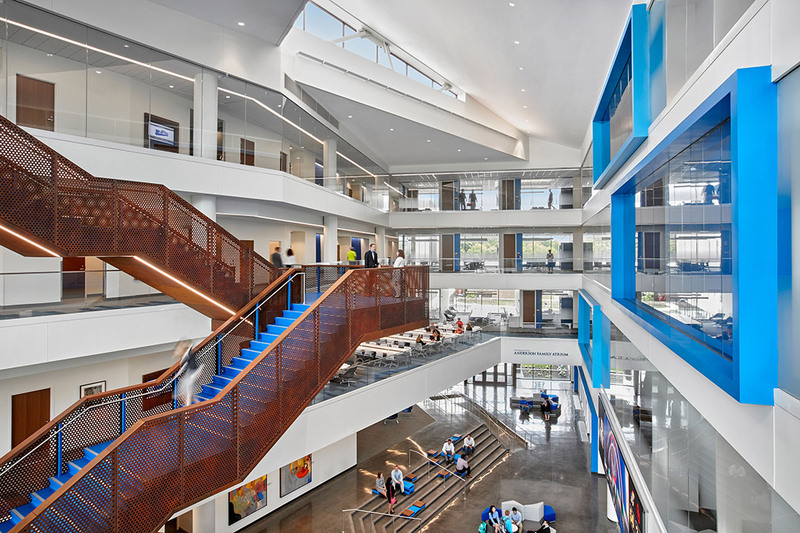 The state-of-the-art Armand Hammer Alumni-Student Center was the first new construction project on campus in 30 years and designed by KSQ Architects, to provide a modern, sleek and youthful structure. 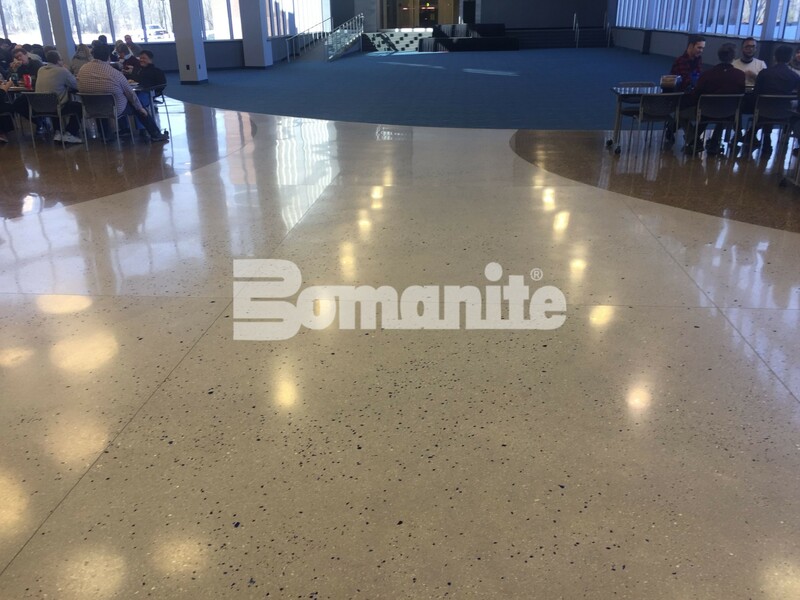 Under the Bomanite Toppings Systems, Bomanite Chemical Stain was chosen to set the design in motion, and installed by Bomanite Licensee, Bomanite of Tulsa, Inc. 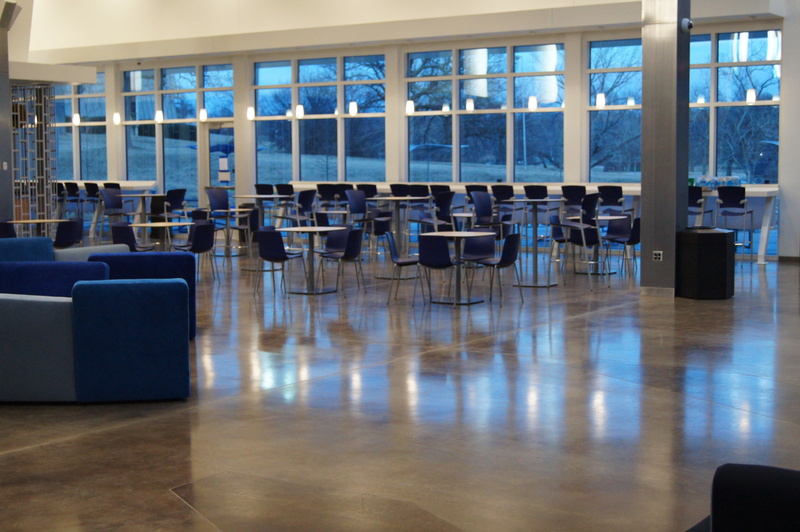 The $11 million building encompasses 28,000 square feet and was designed to provide food, fun and fellowship for ORU’s students and alumni. 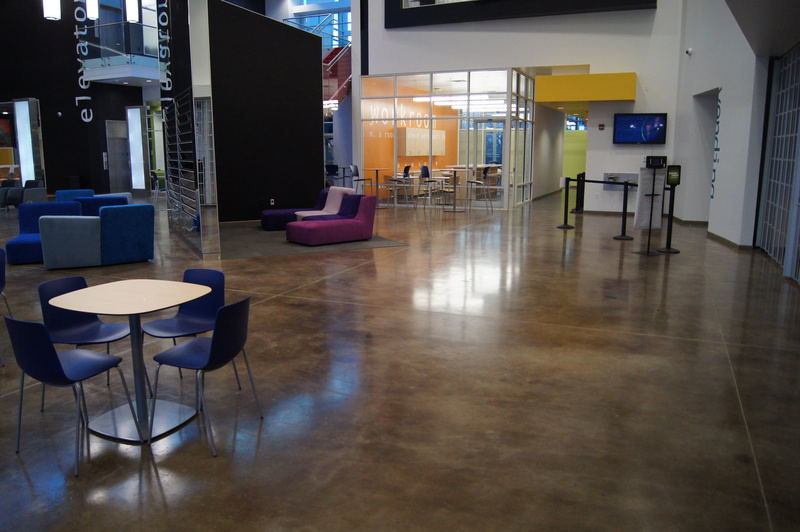 Approximately 16,384 square feet of Bomanite Chemically Stained flooring was provided throughout the building to complement a vibrant, youthful color palette that delineates student activity zones into quiet spaces, pool tables and video game consoles, live performance areas, an Internet café and a 12’ x 21’ screen for viewing concerts, sporting events or video game competitions. The project was completed in three phases working around other trades to keep the building of the project moving and on schedule. 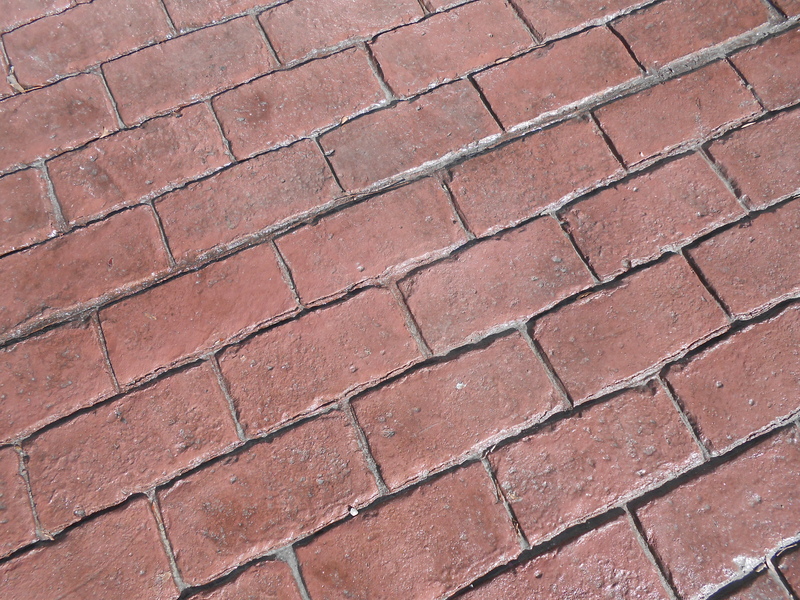 Several dilutions of Bomanite Chemical Stain were used to achieve the mix of lighter and darker colors and then sealed with an acrylic sealer for protection. 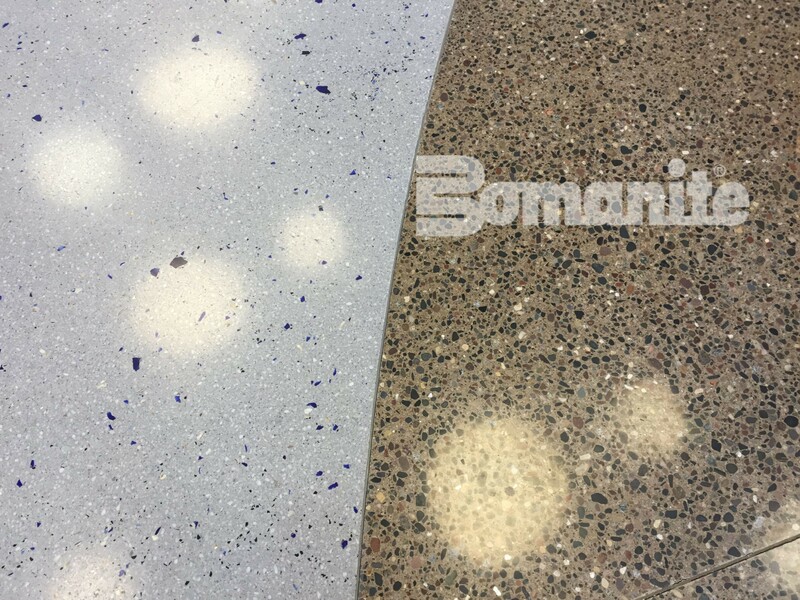 Bomanite Chemical Stains are water and acid-based solutions of metallic salts formulated to “color-etch” new or existing concrete surfaces. These penetrating solutions react with cements to form insoluble precipitants of varying colors to produce permanent, transparent color that will not chip, crack, peel or fade. 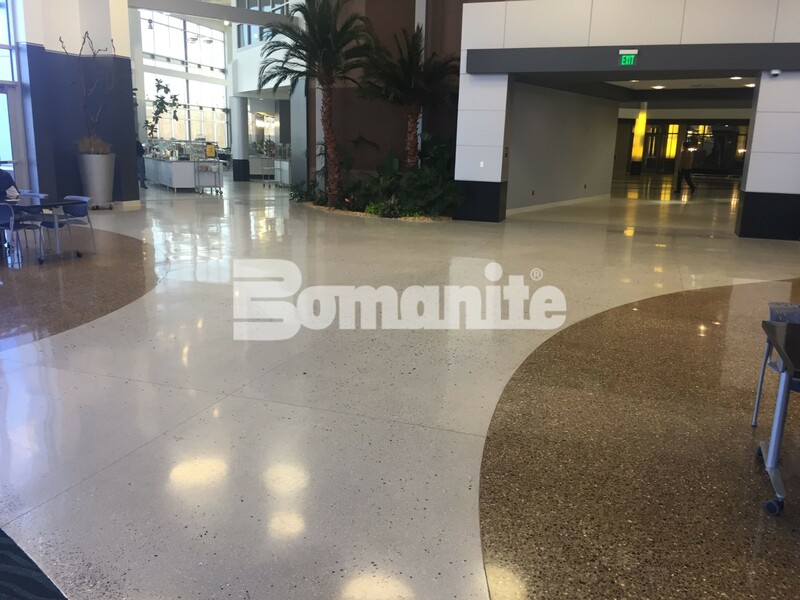 Bomanite Chemical Stains give concrete an attractive variegated or marbleized appearance in a variety of earth tone colors, such as tans, browns, reddish browns, and greens.